Recently I've seen some of my favorite bloggers buzzing about some new clothing lines at Wal-Mart, so of course I needed more information. Turns out, Wal-Mart is re-vamping their clothing offerings across the store and with that are two new ladies lines - Time & Tru and Terra & Sky. 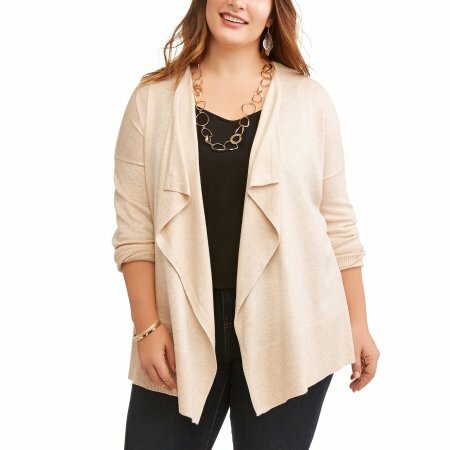 Time & Tru offers straight sizes but does go to size 22 while Terra & Sky is the plus size offering starting at size 14 and going up to size 26. 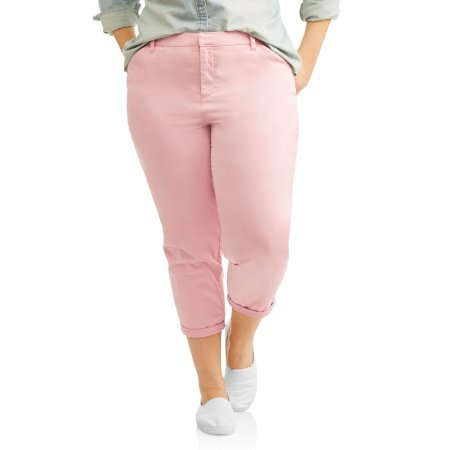 In theory if you're a size 14 to 22 you could shop both lines so since I fall into this category I decided to test it out. First off, it's important to note that Time & Tru also has accessories - jewelry, handbags, shoes and even swimsuits / cover ups. Look at these super cute earrings I scored - they were $4 y'all!!!!! Look at all the earrings! I had a very difficult time sticking to just one pair, I think next time I'll grab the black and white flowers and a pair of tassels. So now let me show you some things I tired on, please don't judge my black bar too hard. Also fun is this ruffle sleeve jumpsuit which comes in at least four colors. I'm seriously considering this for my cruise in April as I think it's something that could be dressed up or dressed down but I'd like to wear with my swimsuit on excursions. Finally I tried on this boho style top which sadly was too tight for me but would be really cute on a smaller size. Now let's move onto the Terra & Sky collection. This collection doesn't have nearly as many in store or online selection but there was still some cute items to grab. This Chambray dress runs true to size and also comes in several prints. I actually wound up purchasing this dress and it's under $20. This ruffle top was super cute but loose on top and snug on the hips - I do like it but the next size up wasn't available in store so I'll have to purchase on line and it does come in several prints as well. Clearly though I'm feeling Chambray right now. Here's some of the items I have my eye on online. The pink pants have REALLY good reviews. Overall I think both collections are nice. I would have loved to have seen a line that offered the same styles in both straight and plus like Target does but it's a nice start in upping the clothing game. Those earrings are adorable. I might just have to take a trip to walmart! Right? Who doesn't need cute earrings for $4?